ProtoPak Engineering Corporation has been servicing the US Military with custom packaging for many years. 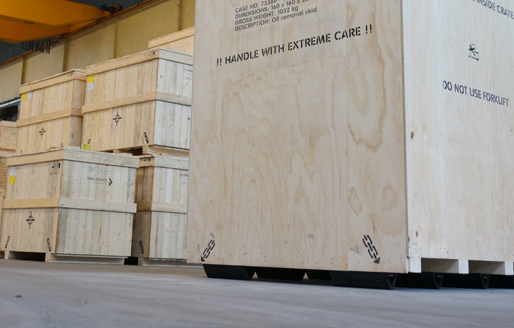 Our experience in custom designed packaging has allowed us to take on packaging for a variety of military hardware. Manufacturers ship directly to us to have their products packaged and shipped to military bases worldwide. Our reputation for zero defects and on time delivery is so good that we were awarded an A.R.P. certification, which designates ProtoPak as having a 100% accuracy record. We've packaged diverse items such as a base ducting system that measured 40' x 20', to micro electronic systems worth tens of thousands of dollars. Munitions and regulated weapons systems that require 24 hour guard and the list goes on. Manufacturers Outsource packaging to U.S.
PEC is an elite ARP provider; we have 100% accuracy record, which allows us to ship products without physical inspection. We Meet Just About any Packaging MIL-Spec you require.